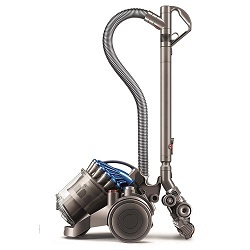 The Dyson DC39 is a bagless canister vacuum cleaner. It’s the most powerful model of the Dyson family. It uses the Dyson Ball technology for better maneuverability, and an improved Radial Root Cyclone technology to increase the suction. 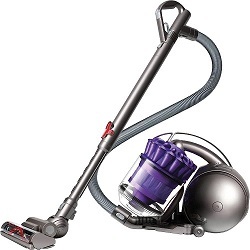 The Dyson DC26 is a bagless canister vacuum cleaner. It uses a level 3 Root cyclone technology to ensure a powerful and constant suction. This technology spins the air very fast and uses centrifugal force to separate dust and debris from the air. 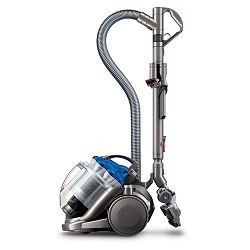 The Dyson DC26 is a compact bagless canister vacuum cleaner. This lightweight model is intended for people living in small houses or flats. 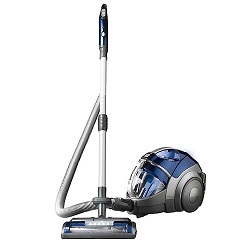 It’s a smaller version of the Dyson DC23. It uses the Dyson’s root cyclone technology, which prevents loss of suction as the bin is fiilling. The Kompressor LcV900B PetCare Plus is a bagless canister vacuum cleaner of LG. Its particularity is to use a compression system to compact the dirt and dust collected, which allows to pick up more dirt before having to empty the bin.